I've finished "The Cat of the Baskervilles" the 3rd book in her Sherlock Holmes Bookshop Mystery series by Vicki Delany. When Jayne Wilson's mother is accused of murder, Jayne and Gemma have to eliminate the impossible to reveal the true killer. Legendary stage and movie star Sir Nigel Bellingham arrives on Cape Cod to star in a stage production of The Hound of the Baskervilles put on by the West London Theater Festival. When Sir Nigel, some of the cast, and the director visit the Sherlock Holmes Bookshop at 222 Baker Street, Gemma Doyle realizes that Sir Nigel is not at all suited to the role. He is long past his prime and an old drunk to boot. Before the play opens, Leslie Wilson, mother of Gemma's best friend Jayne, arranges a fundraising afternoon tea to be catered by Mrs. Hudson's Tea Room. The tea is a huge success, but when it's time to leave, Sir Nigel has gone missing - only to be found at the bottom of the rocky cliff, dead. Along with the dead body, Gemma finds evidence incriminating Leslie Wilson. When the police, in the presence of handsome detective Ryan Ashburton and suspicious detective Louise Estrada,focus their attention on Leslie despite the numerous other suspects, the game is once again afoot and it's again up to the highly perceptive Gemma and the ever-confused but loyal Jayne to clear Jayne's mother's name. 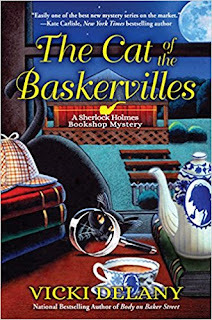 Fans of Miranda James and Kate Carlisle, and Sherlockians everywhere will delight at The Cat of the Baskervilles, the clever third Sherlock Holmes Bookshop mystery. 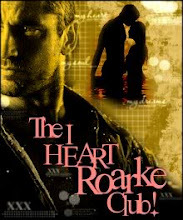 Vicki Delany is a national bestseller in the U.S and one of Canada's most prolific and varied crime writers. A former computer programmer and systems analyst, Vicki lives and writes in bucolic Prince Edward County, Ontario. She is the past president of the Crime Writers of Canada. This is her third Sherlock Holmes Bookshop mystery.